Do you know a nature lover? Because if so, I've got the shop for you to go visiting for gifts. I lived in an area growing up filled with nature. At the base of mountain ranges and surrounded by rain forests, the rich green of moss and flora was disappointingly missing when I moved north into a more suburban environment. I've missed the green a lot, and that was never more apparent than when I discovered this shop. I ran across Warm Country Meadows in one of my many wanders through Etsy and I have to admit, I wasn't just fascinated but also a bit amazed. I'm a nature lover at heart, and I immediately wanted to buy. I mean, the only thing that held me back from an impulse buy was the fact that I wanted so MANY of the things in this shop that I couldn't pick just one! Warm Country Meadows is filled with terrariums. 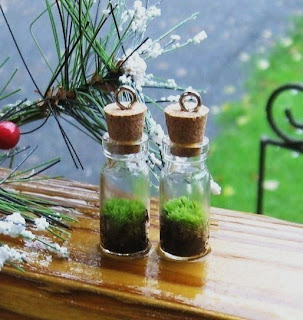 There's terrariums you can display in your home and also bitty ones you can wear around your neck or from your ears! They're absolutely beautiful and 100% sweet and earthy. They are all living pieces of beautiful art, each and every one of them. TO VISIT WARM COUNTRY MEADOWS ON ETSY, YOU CAN CLICK THE PICTURE ABOVE OR, IF YOU'D RATHER, CLICK RIGHT HERE! 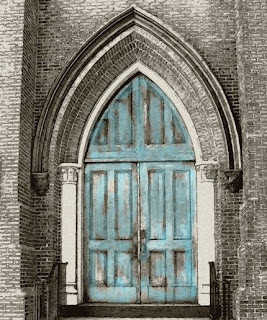 I'm all over the place on the net and I discover the artisans and artists that I feature on this blog from just about everywhere I visit from photograph sites to search engines, browsing through Etsy, Artfire, 1000 Markets and Zibbet to forays into Facebook and Twitter. Today's shop, I first discovered on Flickr! You'd be amazed just how many artists and artisans (besides just photographers) are on Flickr showing off their creations, their work spaces, homes and creative processes through photographs. Yali Paz-Gilboa is one of these and I did a little digging through her profile to find her outside Flickr for further exploration. She has a lot to explore too! 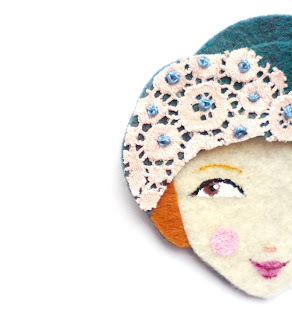 Yali designs the cutest brooches you'll ever set eyes on, and that's what at first drew me to her work. 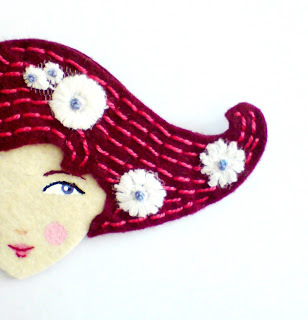 Wonderful hand embroidered felt brooches of little girls in different colors, styles and shapes abound in her shop. Each one with it's own personality and sense of style. Eye colors, hair colors, skin colors and hats abound... all with pretty lips and rosy cheeks. She also offers colorful felt flower clip barrettes, unique embroidered wall art, magnets, necklaces, rings as well as other hair accessories. All of her items are so very adorable and you'll be hard pressed to choose just one. These wonderful pieces will also make terrific gifts for just about anyone from little girls to mothers, grandmothers, neighbors and friends. 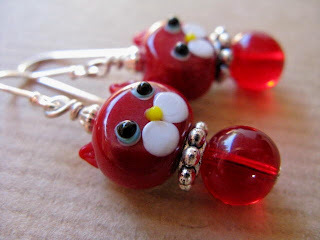 They're sure to bring a smile to the face of any girl or woman who appreciates cuteness, no matter the age. TO VISIT THE YALIPAZ'S SHOP ON ETSY, YOU CAN CLICK THE PICTURE ABOVE OR, IF YOU'D RATHER, CLICK RIGHT HERE! Growing up with Zoie (aka. Gilliauna) as a mentor in my life benefited me in many ways in my youth as well as in my adulthood. Not only did she introduce me to the creativity and enjoyment of jewelry design, but she also introduced my twin sister and I to the joys of being a pet owner. 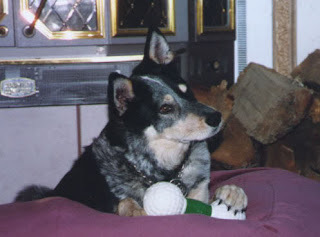 When I was young, Zoie had the most magnificent, awesome dog. Her name was Koko and she was ultra energetic and super friendly, not to mention just a little pushy. She adored Zoie completely and you could see this in every interaction between them. Zoie was also the only person she would listen to. I can't necessarily see Zoie as a dominant personality type, but she definitely had established herself as alpha dog in Koko's eyes. Ever since meeting KoKo at the age of 9, I've wanted a dog. Not a little dog or a toy dog, but a "real" dog. A big dog. I don't live the life that's conductive to that kind of a pet, though. So as much as I've always wanted one, I've resisted. Then a couple years ago, I was "saddled" with a cat. My sister's cat, to be exact. Now, let me tell you something about this cat. This cat has attitude. Her name is Meanie. (Okay, it's actually spelled Meenie like "Eenie Meenie Minie, Mo" but "Meanie" is far more fitting.) She's very, very persnickety. And yet, I've somehow come to like her anyway. Love her even. The moral of the story? Adopt a pet. I know it's a round about way of getting there, but that -is- the point. Pets enrich your life. They give you love and devotion people can't and fill a part of your life that you might not even realize needed filling. I know that there will be a day in my life at some point where I WILL have a dog of my own. It's a plan that hasn't been fulfilled yet, but it's one I have every intention of following through to fruition. And when I do, I'll be adopting. Why adopt instead of purchase? Because there are millions of abandoned, mistreated and stray pets out there that need a home. Reputable humane societies and animal rescue centers can clear these pets for adoption, ensuring they're healthy and ready to come into your home. 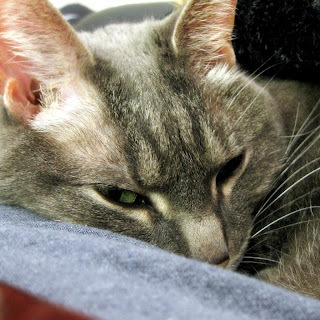 Many know the animals in their shelters well enough they can even give you an idea as to the energy level and personality of the pet you're considering adopting. So consider adding a pet to your life, and while doing so, take a stop by your local shelter/s. You might just fall in love. 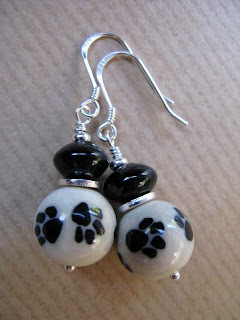 The shop that provided the pet loving jewelry pictures in this post is Beaded Tail, ran by Sharla on Etsy. Beaded tail is filled with beaded jewelry for animal lovers with a portion of ALL sales proceeds benefiting animal awareness causes. These causes include the American Society for the Prevention of Cruelty to Animals, Humane Society for the United States, Dogs for the Deaf, Alley Cat Allies and Chintimini Wildlife Rescue. In 2008, Beaded Tail's donations came to $407.00 and in 2009 it grew to $686.50! They are a terrific shop and if you're an animal lover (or know someone who is) you'll want to stop by and take a look around. YOU CAN CLICK ON THE PICTURES ABOVE TO VISIT THE BEADEDTAIL ON ETSY AND TAKE A LOOK AROUND OR, IF YOU PREFER, CLICK RIGHT HERE. 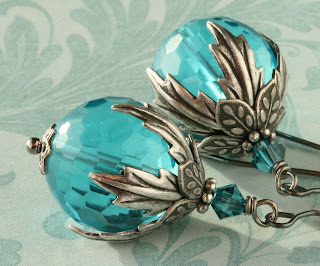 Today I'm featuring a shop that I just think is completely FUN! I've always loved the creative club and rave styles and especially the ultra-colorful ones. And here's a shop that fits right in with that! 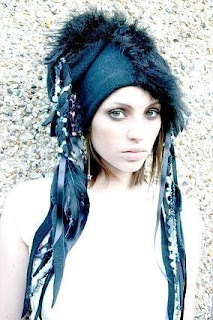 Gobbolino on Etsy specializes in everything for the urban raving fairy and is filled to the brim with awesome, colorful hair falls, dreads, hats, wigs and much more. They even have pixie hats, which I find just SO adorable. And the models are cute too, which is just an added plus really but it makes browsing their shop just that much more fun. Heavily influenced by the street wear of the Haruko girls of Japan with their original and inspiring handmade garments. Gobbolino's selections grow from week to week with the fast moving trends that encapsulates the new generation of cyber-shoppers and clubbing trend-setters. This is one of those shops that you just won't believe until you see it for yourself and, if you're like me and fascinated with color or you know someone who is, you won't want to miss taking a peek. TO VISIT GOBBOLINO'S SHOP ON ETSY, YOU CAN CLICK THE PICTURES ABOVE OR, IF YOU'D RATHER, CLICK RIGHT HERE!